Hey everyone! I hope you’re having a good week so far and are ready to dive into another article. Personally, I’m doing well after having another strong finish, this time at Philly Regionals. It’s unfortunate that I lost in Top 4, but it’s a result of a few weird plays and one too many bad flips on Timer Ball. Nevertheless, I’m happy with my performance with a unique deck. If you’re looking for how my tournament went with matchups and other thoughts, I made a post shortly after my loss on Sunday in Heyfonte. Here, I plan on analyzing the list, looking at its viability moving forward, and updating the list with results from my League Cup this past weekend. Let’s get into it! The deck takes on the standard Zoroark-GX archetype shell that’s seen in its other variants: Lycanroc-GX, Golisopod-GX, etc. Combining the Banette-GX and Garbodor line, we have a 3-3 line of Psychic attackers. This is usually enough to deal with any Psychic-weak threats, especially with the Rescue Stretcher. 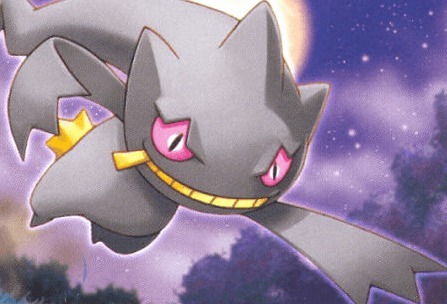 Banette-GX is the more important attacker in today’s metagame, which is why it’s a thicker line than Garbodor. It shores up the matchup that gives normal Zoroark-GX decks a hard time: Buzzwole/Shrine/X. Banette-GX is great because of its Fighting Resistance, Shady Move Ability, and easy access to OHKO damage with Shadow Chant. 2 Tapu Lele-GX is enough in this deck because most of the time it’s used as a search for a specific Supporter rather than insurance for bad hands. The most common Supporters I find myself searching for are Acerola, Judge, and Mallow throughout the game. These are the strongest Supporters when they can be actively fetched—the main reason they’re played. They would be much worse without a tutoring effect, since they’re so situational. Against Metagross-GX, I’ll usually leave a Bench space available so that I can Wonder Tag for Judge after they use Algorithm GX. These are the two “revenge” Rainbow attackers. Buzzwole is amazing at returning damage to other Zoroark-GX decks; Tapu Lele is great against Rayquaza-GX decks. These both require effective timing to be used, and must be in the deck. They provide greater options and potential swing turns against these matchups that cannot be ignored. Even more powerful than that, the opponent must play around these cards. One of the ways to win the Zoroark-GX/Lycanroc-GX matchup is by forcing them to play into Sledgehammer, or to actively give them few opportunities to play around it. I’ll commonly stick the same Zoroark-GX Active so that they need to Bloodthirsty Eyes or Guzma to avoid dropping to 4 immediately. Against Rayquaza-GX, I’ll target down the other attackers while preparing for the return KO combo. Free retreat. There’s usually never a time where Flying Flip is useful unless for whatever reason you have to poke a Tapu Lele-GX for 150. These are the bread and butter Supporters of any Zoroark-GX deck. Guzma is stronger and less situational than Acerola, which is why there are 2 copies. On top of this, Guzma is very important for closing out the game. The 2 copies of Acerola are necessary so as to ensure that there’s one readily available, regardless of Prizes. Lusamine also allows for them to be recycled effectively, 2 at a time. Acerola is the most important card for Zoroark-GX mirrors (other than Lycanroc-GX) and Shrine decks. It effectively nullifies the opponent’s turn and allows you to catch up or extend your lead. Against Shrine decks, Acerola is used to nullify important turns from your opponent. It’s great for saving Pokémon about to fall so that you continue to trade two for one. The singleton Supporters are very important for this deck. Mallow, as said earlier, ties together the awkward turns by searching for whatever’s needed. In my opinion, it’s the best one of the five. Use it wisely. Professor Kukui is the same. It’s necessary to save it for the most opportune time when the damage is absolutely necessary for the KO. Judge is there to disrupt Algorithm GX, Steven’s Resolve, and Tempest GX. Apricorn Maker is there for T1 when you have Evolutions in hand but no Basics. Lusamine is there to recycle other Supporters and potentially act as a 4th Stadium. Weakness Policy is probably the only reason why this deck can actually function in today’s format. It’s completely necessary against every matchup I can think of: Malamar, Zoroark mirror, Shrine decks, and Buzzwole-GX decks. 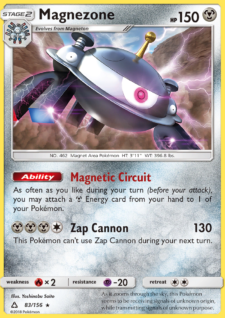 Simply put, it creates a sustainability and keeps a GX Pokémon alive for an extra turn. Zoroark-GX decks are made to trade 2HKOs (while planning for a pivotal OHKO), so having them survive for another turn is essential. It compliments Acerola, requires a Field Blower to be removed (raising the Item count), and is an insanely strong card in its own right I would never play fewer than 2 copies in this deck, but also wouldn’t go up to 3. 2 is the perfect number. Likewise, 2 Choice Band is amazing. The extra damage from it doesn’t matter too much, but the 2nd copy ensures that bad discards or strange situations don’t ruin the game. Choice Band allows Banette-GX to hit the 170 combo on a Tapu Lele-GX with a Rainbow Energy and a full discard, so plan to use one of them for that. The other one can be used sparingly. The changes made since Philly are a result of more testing (done by Rahul & others) and analysis of what went wrong with the initial list. More time spent testing has led to the above changes. Also, I was experimenting with a few of the changes in a tournament setting. I’ll specifically highlight these down below as well, going in-depth into each change. The main skeleton of the deck remains absolutely the same. All of the core attackers remain, the consistency Supporters stay the same, and the Ball count remains the same. Though there is a difference in the type of ball being played. Great Ball has now made its way into the list; Timer ball is out. Since my unfortunate double Tails in T4, I’ve absolutely hated the card. I’ve hated it since the first tournament I’ve played it in! It’s like an Evosoda with much more variance. A piece of advice for anyone looking to do card design, or anything of the sort: variance is terrible in card games. If-else effects determined by coin flips are awful. To roughly quote a good friend of mine, Oliver Barnett, “one player is happy and the other isn’t.” He has since moved onto playing Hearthstone, which I’ve noticed has few of these 100% random effects. They make for much more fun games than those that I experience with Timer Ball. Great Ball is infinitely better than Timer Ball. I really don’t care about the probabilities you give me either. It may be worse on paper, but it’s better in our hearts. In most situations, you’ll at least find one Pokémon with Great Ball you can Trade away, use, or save. Timer Ball can fail and do nothing. Doing nothing is about the worst thing possible in this game—especially when it increases the Item count. The main reason why Great Ball is a better card than Timer Ball is because it can dually function as a card that can grab Basics. Apricorn Maker isn’t required anymore since Great Ball functions as a Nest Ball (sometimes). In other times, it functions as an Evosoda. It’s versatile. Pheromosa is better because it isn’t weak to Fighting, is Grass type, and attacks for a single Energy. The main reason it’s so good is the first; there’s little reason to worry against Buzzwole or Buzzwole-GX when it’s placed Active. Zoroark-GX decks are already fragile enough, so playing a semi-bulky free Retreater is smart. The next benefit is its Grass typing; it can poke Lycanroc-GX for Weakness. This hasn’t come into play very often, but I’ve found it to be quite cute and potentially worth it. 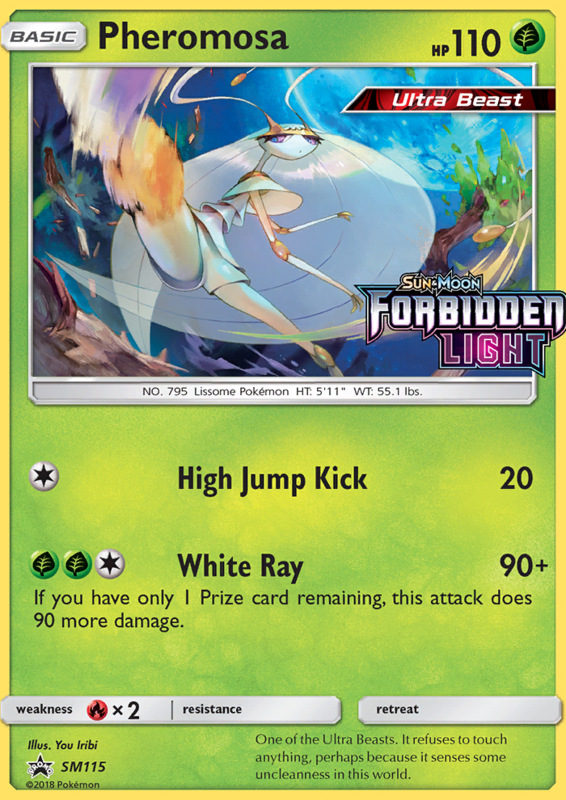 In some games, I’ll find myself poking a Lycanroc-GX for 100-130 with Energy Drive, which could otherwise be done with Pheromosa. Kartana-GX is honestly something that should’ve been in the initial list with how many decks are running Special Energy. It’s a timely Enhanced Hammer that also becomes the decks best GX attack (since Tapu Cure GX and Tomb Hunt GX happen very infrequently). I used Tomb Hunt GX 3-5 times over the entire weekend. I used Tapu Cure GX 0 times. This deck needs a better GX attack. Kartana-GX somewhat improves the deck’s Zoroark-GX mirror matchup, especially against Lycanroc-GX. The main issue in that matchup is when the Lycanroc-GX could take 4 Prizes on its own by never being damaged. Kartana-GX prevents this situation by stopping Multi Switch in the turn that you KO a Rockruff or some other target. 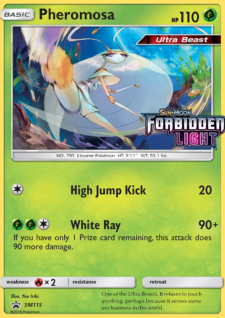 It delays the Lycanroc-GX for one turn and potentially forces them to play into Sledgehammer, one way or another, since they have to Riotous Beating. Lusamine is too slow of a card and I’ve never found myself needing to recover a Devoured Field. These situations are entirely fringe, and are way less common than the casual shuffle-in of Guzma, Acerola, or Professor Kukui. In all honesty, I haven’t found myself liking the Pal Pad much. I might replace it with something else worthwhile like a 2nd Trubbish or 2nd Rescue Stretcher. Who knows, I may even try to slot in a Magcargo line. Okay, that’s very unlikely. There’s no Bench space for Magcargo in this deck anyways. Xurkitree-GX doesn’t exist. More Rainbow Energy makes hitting Sledgehammer, Psywave, Blade GX, etc. much easier. The damage for Banette-GX is relevant. This deck functions like a normal Zoroark-GX deck: set up multiple Stage 1s, use the Trade Ability every turn, and profit. Turn 1 is ideally a few benched Pokémon, a quick Lillie for 5+, and a pass over to the opponent. The goal is to take a knockout with something on Turn 2, whether it be with Banette-GX or Zoroark-GX. The goal in this mirror is to win the war of attrition. Tomb Hunt GX will most likely be the GX attack of choice in order to retrieve Acerola, Guzma, Choice Band, or Pal Pad. The goal is to maximize value each turn while also making the most of whatever’s useful. Garbodor is a great late-game threat that will require the opponent to Guzma the Trubbish if they’ve played many Items. Pro tip: Swing into a GX Pokémon the turn you bench Trubbish. That way they’ll have to let that Pokémon fall to your Guzma, as they must Guzma your Trubbish. In this matchup, I never evolve to Banette-GX unless it’s the turn I attach Weakness Policy and Tomb Hunt GX. The threat of Shuppet is enough to force to the opponent to either kill it or face a difficult battle after you GX attack. Benching it at the right time can force the opponent to play into Sledgehammer, too. Buzzwole FLI is the main swing card in this matchup because it can OHKO a Zoroark-GX for 2 Prizes. This not only catches you up by a full turn for trading blows, but also reduces their draw power heavily. The best early game strategy is to force or coerce your opponent into Sledgehammer. When they have 6 Prizes, don’t even bother using Acerola on your damaged Zoroark-GX. Just let it stay Active and force them to Guzma around it to avoid the Sledgehammer turn. The temporary sacrifice is completely worth it because in that time, you can play your own Guzma and take cheap Prizes. You should have a great enough lead to finish out the game easily. When they have 5 Prizes, you must constantly Acerola and play around their out of taking 2 Prizes in a single turn. It doesn’t matter if you leave Zorua, Shuppet, or Trubbish on the Bench because if they KO them they’ll face Sledgehammer. When this is happening, make sure that the opponent has a fresh Zoroark-GX without a Weakness Policy. If you’re using Sledgehammer on an already damaged Zoroark-GX, Golisopod-GX, or something similar, it has no impact on the state of the game. You’ll lose. You must plan so that they have a Zoroark-GX available for picking through Guzma. Disregard almost everything I’ve said above. Your goal is to completely play around Lycanroc-GX and force them into Sledgehammer. I wish my Top 8 match against Poet was streamed because I used a lot of smart tools that other players might not have done in order to give me a chance. These tricks involved not evolving my Zoruas, planning my Weakness Policies, and isolating Bench spaces for Rockruffs and Lycanroc-GX. The forced Sledgehammer is much more difficult because they can Bloodthirsty Eyes and Acerola in the same turn. They can also take an easy OHKO with Claw Slash, pushing them from 5 to 3 Prizes. This is the most first/second reliant matchup, since going first means an easy initial Prize. Anyways, create a not ideal board for a Lycanroc-GX to swing into. Have only Zoroark-GX in play with Weakness Policy. This means they must Dangerous Rogue GX something for 2 Prizes. Once this happens, you’re pretty much safe from Lycanroc-GX’s danger (so long as you don’t evolve to anymore Zoroark-GX). Claw Slash is dangerous when it can OHKO something and effectively gain a turn of tempo, similar to the important Sledgehammer turn. When this is removed, Lycanroc-GX becomes a 2 Energy one time OHKO Pokémon. This is much easier to manage. By limiting their Bench space, I mean don’t kill any Pokémon that aren’t Rockruff (unless it’s the correct play). Confusing, right? I mean that you shouldn’t be overly ambitious to clear their Bench of rubbish like Zorua if it’s reducing the number of Rockruff they can put into play. With only 1 Rockruff in play, it’s very easy to isolate it and continuously Guzma. With 2 or 3, it becomes impossible to manage their potential Lycanroc-GX. This matchup is incredibly frustrating, yet favorable. As the Zoroark-GX/Banette-GX player, you’re the only one doing thinking. The opponent will casually try to get around Weakness Policy, get key OHKO turns, and do Shrine things while you work endlessly to prevent them. Managing the Item count, Ability count, Acerola count, and maximizing probability is the way to win this matchup. The Item count is by far the most important part of this matchup. With an incredibly exhaustive beginning turns, the match is already over. This is evidenced by my G1 and G3 against Caleb. I had readily stabilized after the first few turns, but I simply had too many Items in my discard pile by that time. It was caused in G1 by the Apricorn Maker on Turn 1, and in G3 it was because of the rough Timer Ball tails I mentioned earlier. This forced me to Ultra Ball, discarding/forcing key resources like DCE and Acerola, which prevented me from ever winning through Zoroark-GX looping. The Acerola count is the next important number. Acerola effectively nullifies the opponent’s past turn. It’s vital to maximize the efficacy of each Acerola! Pal Pad makes it much easier to get around this limit of 2, but nevertheless the +1 Item from Pal Pad isn’t ideal. Looking back at my match, I was forced to Acerola in weak situations that didn’t truly capitalize on the damage I could heal. IIRC, I picked up a Shuppet with 30 and a Zoroark-GX with 60. The goal is to pick up a halfway-dead Zoroark-GX or Banette-GX near the end of the game. It is a late-game card. Playing around Sledgehammer with Shady Move is the surefire way to win the game. This requires careful planning since Turn 1, but also requires an optimal start to do so. You must be on 5 Prizes by the 2nd or 3rd turn and only have 3 Supporters in discard as you swing into a Buzzwole. Then on the next turn, you can Shady Move to it and take a regular KO, going from 5 to 3 in a single turn. However, this has its risks. With only one Banette-GX/Shuppet in play, the opponent could potentially hit the nuts and KO it with a Weavile. If this happens, it’s all over. You’ll be left with no way to circumvent Sledgehammer even if you Bench a Shuppet that turn; the opponent will use Guzma and Sledgehammer that. You’ll be down 3-4 Prizes and lose. Weavile is the most threatening card in their deck. Target the Sneasel ASAP. IMO, it’s more threatening than Magcargo. Magcargo may search their deck for whatever card they want, but if they can’t KO your Banette-GX, it doesn’t matter. Set up Zoroark-GX with a Weakness Policy so that Marshadow-GX doesn’t OHKO. Don’t rush to KO the GX Pokémon on their field. Leave it for later. If you KO the GX Pokémon, they can use Moons Eclipse GX when you have 2 Prizes left because their only GX Pokémon is the Active Marshadow-GX. If you leave it until the end, then you force them to do it on 3 Prizes because you could otherwise Guzma the benched GX and KO it, going from 3 to 1 and nullifying the Moons Eclipse GX. Save the Judge for when they Algorithm GX. Target Beldum and Metang repeatedly. Save for a 170 KO on a Tapu Lele-GX. Put Pheromosa down. Attack with Zoroark-GX because it’s bulky. Then go into Tapu Lele whenever it can take a OHKO. The Tapu Bulu-GX version of this deck is tricky, but still manageable. The goal now is to Shady Move them down to 170 and take a knockout or two with a 170 Riotous Beating. Doing that with a Banette-GX also works, but remember that 170 combo includes Shady Move for the turn. Hope to target the lone Magnemite. Replace the Mt. Coronet whenever possible and pray they miss the attack. Zoroark-GX/Banette-GX is a viable deck against the current metagame, but is an incredibly fragile deck on its own. 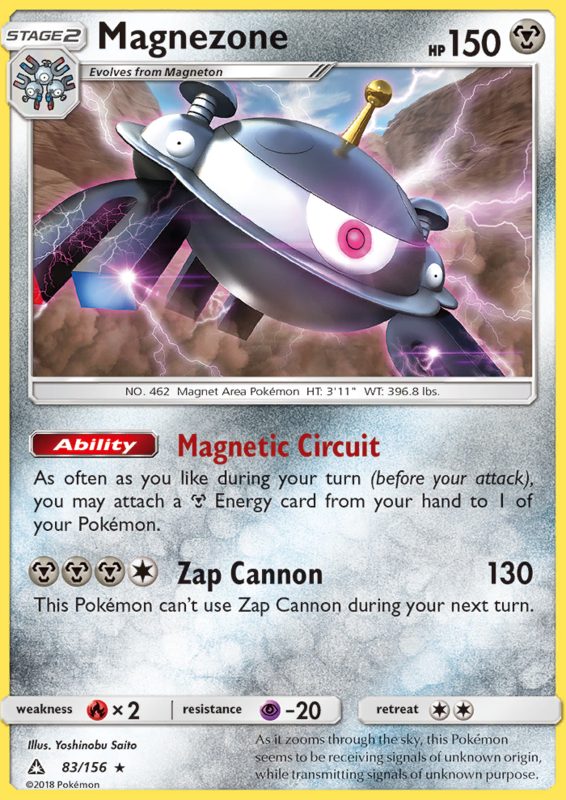 It cannot handle itself against inherently strong decks like Fire/Kiawe, Magnezone, or Tapu Bulu-GX/Vikavolt. Zoroark-GX/Lycanroc-GX is also a poor matchup. Buzzwole-GX decks are also difficult because they can OHKO regardless of Weakness Policy and have great consistency with Magcargo. Overall, the deck was well-positioned in the Philly metagame but will be shaky moving forward. I’m skipping Memphis because I’ll be at home taking the SAT Subject tests. I’ve just recently learned that a few of the schools I plan on applying to require 2, and I only have 1 at the moment! I’m a bit sad to be skipping a Standard event so close to home, but it’s worth since its for college. I’ll be back ready to play in Portland Expanded in no time.